Markus Lattner (b. May 10, 1969) is an Austrian-American businessman currently working as an agricultural improvement manager with a specialty in lean manufacturing practices. With extensive experience in quality improvement for businesses, Lattner has worked in both Austria and America as a production manager, supply chain and procurement manager, and vice president. After beginning his career as a cabinetmaker in his home country of Austria, Markus Lattner also worked in South Africa before moving to the United States. He attended Johannesburg’s NEKSA College of Electronics with an emphasis on applied electronics. Markus Lattner holds several certifications, including SAP Key User, which he obtained in Pennsylvania, United States, and Gemba (Lean) Manufacturing Training, earned in Austria. Lattner is also a Six Sigma Green Belt, acknowledging his high level of expertise in Six Sigma quality improvement tools and strategies. When he isn’t working hard to help businesses improve operations, Markus Lattner studies Jungian psychology and Eastern and Western philosophy, and spends time baking artisan breads. Lattner also follows ornithology, with a particular emphasis on raptors, and enjoys listening to classical music. Markus Lattner resides in Reading, Pennsylvania, where he works hard to keep the environment safe for future generations. The work he does at Red Earth Farm allows him to help agriculturists in streamlining processes for the chemical-free produce farm. His career interests include sustainable agriculture, slow food movement, and environmental energy systems, and through his work Lattner believes he has been able to make a difference in all of these areas. As a teenager in Kirchdorf/Krems, Austria, Markus Lattner developed a love for cabinetry, designing and building his own cabinets using laminate and real wood. He began traveling throughout Austria, installing and building custom cabinetry for commercial and residential customers. After serving a three-year apprenticeship while attending trade school, Lattner achieved trade certification as a cabinetmaker. In 1990, Markus Lattner transferred to South Africa, where he took a job in Johannesburg as an electrician for Metronics, a company that specializes in digital readout systems. In this capacity, Lattner acted as an electrician, salesman, and installer for the company, streamlining and improving operations in the process. There, Lattner began to develop the skills for quality improvement he would call upon later in his career, as he was called upon to consult with businesses like Metronics. A few years later, Markus Lattner returned to his hometown of Austria and was employed as a glass worker. He not only repaired and framed windows, pictures, and other objects, he also created stained glass objects. When he wasn’t busy creating glasswork, Markus Lattner worked in customer service and purchasing for the company, where he excelled in compiling customer quotes. In 1997, Markus Lattner was offered a position in Reading, Pennsylvania as a production manager for Reading Powder Coatings. 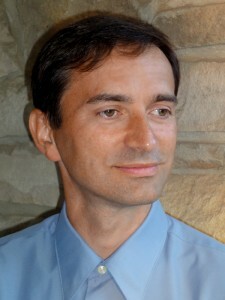 For three years, Markus Lattner oversaw production at the company, including product development and employee training. After observing current operations, Lattner devised strategies to improve operations, initiating improvement programs that improved both lead time and the quality of production. He also improved machine “up time” during the course of his work as production manager at the plant, a technique that is part of the “lean manufacturing” techniques Markus Lattner helps implement today. Markus Lattner also served as vice president of the company, which put him in charge of much of Reading Power Coatings’ operations, including profit and loss, human resources and information technology. Through his quality improvement techniques, Lattner was able to increase revenues for the company, both by improving profits and decreasing production waste. Markus Lattner developed and administrated the supply chain, procurement and materials management program for Tiger Drylac North America. Lattner optimized the entire value stream for this global paint company based on lead supply chain methods. Today, Markus Lattner serves as improvement manager for Red Earth Farm in Pennsylvania, a community-supported agricultural farm. Red Earth Farm is family-owned and operated, working closely with members of the community to provide quality, chemical-free produce on a subscription basis. In addition to his work implementing quality improvement programs at the agricultural farm, Markus Lattner also regularly speaks to businesses on Lean Manufacturing and other quality improvement techniques.